The Village of Royal Palm Beach recently announced that it is accepting applications for a number of positions becoming available this month on the Recreation Advisory Board and the Planning & Zoning Commission. But hurry — the deadline to apply is Wednesday, March 27. These are two of a variety of citizen volunteer boards created to help inform and shape the village’s decision-making process in public policy areas. Samios said that the Recreation Advisory Board fills a crucial role for the village. The current terms of six seats on that board are expiring this month. Citizen advisory boards are a win-win for the village and its citizens, Samios explained, adding that with more than 35,000 residents living within the municipal limits, advisory boards are an effective way for busy elected officials to stay in tune with a diverse population’s ever-shifting wants and needs on issues that are important. Thanks in part to citizen input, the village boasts an extremely wide range of recreational opportunities, from cricket and pickleball to meditation and yoga. “Serving on one of these boards gives residents an inside perspective of the inner workings of the village,” Samios said. The Recreation Advisory Board meets on the fourth Monday of the month with a usual start time of 7 p.m.
Samios said that it is important to note the particular day of the week that a board or commission meets before applying to ensure that your schedule will be such that you are available on that particular day. Terms are for two years. Terms are expiring this month for four current seats on the Planning & Zoning Commission, which meets on the fourth Tuesday of the month at 7 p.m. Commission members review and make recommendations to the Royal Palm Beach Village Council on all proposed comprehensive land use plan amendments, site plans, plats, special exceptions, applications for variances and rezoning applications. Councilman Jeff Hmara, who serves as liaison to the village’s Education Advisory Board, also urged more residents to get involved. “Both the Planning & Zoning Commission and Recreation Advisory Board volunteer groups gain insight into how the village staff works, and they get to influence important decisions for our community. These are really good opportunities to serve and to learn,” Hmara said. 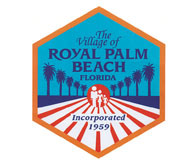 All residents of the village who would like to be considered by the council to serve on either panel should stop by the Village Clerk’s office to pick up an application or download it from www.royalpalmbeach.com. Applications must be received by Wednesday, March 27. The council will review the applications at its Thursday, April 4 meeting. To download the application from the web site, visit www.royalpalmbeach.com. Under “Departments,” go to the “Village Clerk” section and then click on “Downloadable Forms” to find the “Commission and Board Application Form.” Return the completed application to the Village Clerk’s office no later than Wednesday, March 27.